Iceland is one of the most visually captivating countries in the world. From glaciers, geysers, and vibrant green fjords to waterfalls, lava fields, and glittering ice caps that pierce the sky, this is a country with awe-inspiring natural wonders and incredible scenery at every turn. There are plenty of different ways to experience this beautiful country as a traveler. But there are a few quintessential experiences you really shouldn’t miss. Here are my picks for the Top 7 Things to Do in Iceland. It’s difficult to see everything in Iceland without renting a car. And every waterfall, glacier, volcano and fjord along the way deserves to be seen, making for one of the world’s best road trips. 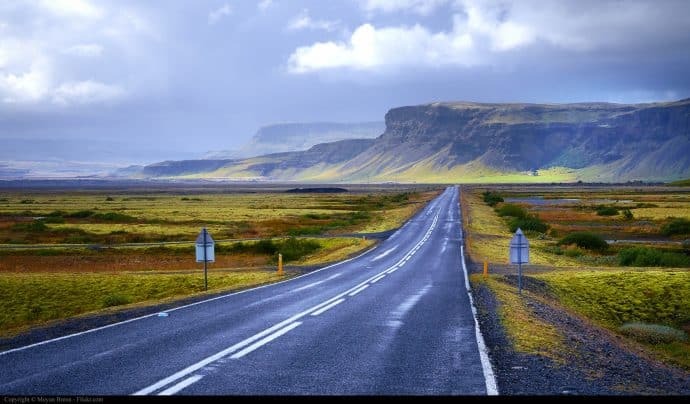 Luckily, planning a road trip through Iceland is relatively straightforward, as the country only has one main road. The Ring Road (a.k.a. Route 1) wraps its way all around the country. From it, you can take secondary roads to remote towns and peninsulas for further adventures. You could technically complete the whole drive in around 17 hours. But we recommend taking 7-10 days to make the journey in order to savor all the gorgeous sights along the way. The scenery and attractions are breathtaking, and there are ample opportunities to pull over and explore the country’s beautiful but rugged landscape. Be sure to consider the weather before you drive, as conditions in Iceland can often be extreme. When traveling in winter, sudden snowstorms are common, and roads can be treacherous (or even closed). Make a habit of checking the weather forecast the day before, and keep your eyes peeled for unexpected changes and approaching storm fronts. 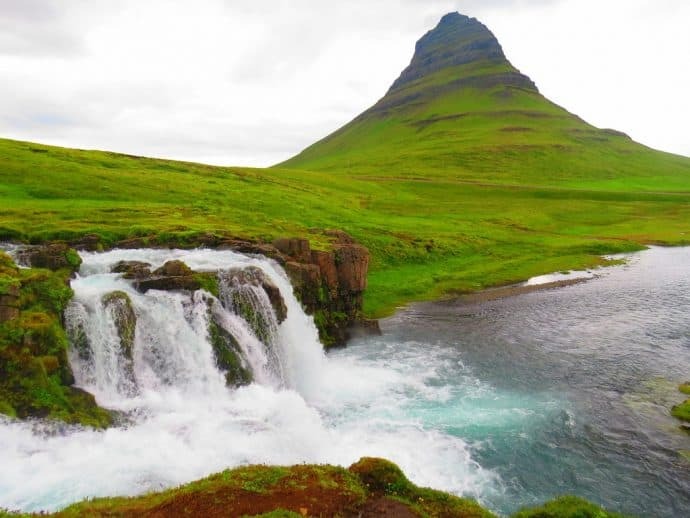 Iceland is positively brimming with magnificent waterfalls, and it’s impossible to recommend just one. In our experience, each one seemed more spectacular than the last. The falls here range from tall and narrow to wide river monsters that rival any other country’s offerings in terms of raw power and sheer beauty. 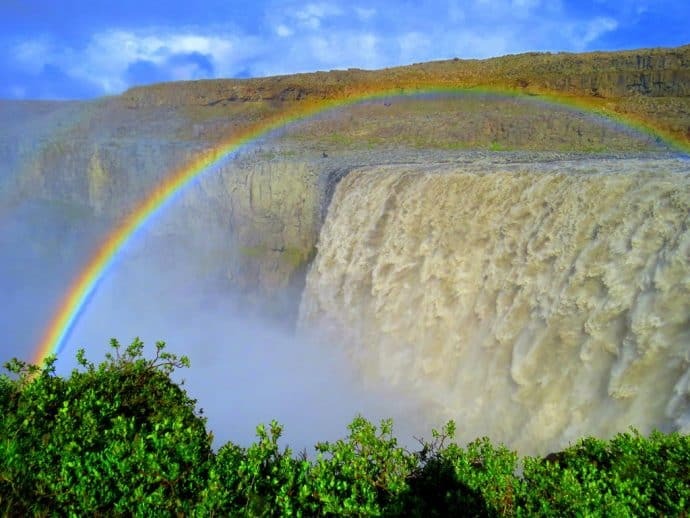 The largest and most powerful waterfall in Europe, Dettifoss, will blow you away with its tremendous volume and size. Ripping through a glacial river and plummeting into an enormous gorge, this is Iceland’s version of the Grand Canyon. The falls are 144 feet in height, 328 feet wide, and have a flow of about 1,640 cubic feet per second. The ground beneath you trembles as you approach the falls, its beauty belying its tremendous power. Other highlights include Godafoss (known as the “Waterfall of the Gods”), which is located close to the road between Akureyri and Mývatn; Dynjandi, which is located in the remote West Fjords; and Svartifoss, a strikingly picturesque waterfall set against the backdrop of pitch black basalt columns in Skaftafell National Park. But these are just a few of the famous ones. As you drive the Ring Road, countless other waterfalls appear, many of which don’t even have formal names! Iceland has a number of huge wildlife draws, and this is one of the premiere countries in the world for birdwatching. 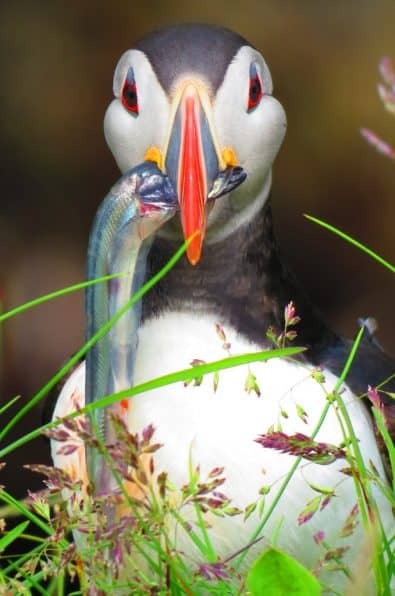 Exotic seabirds such as Puffins arrive by the millions for the breeding season between April and August, nesting on coastal cliffs all around the country in massive colonies. Wildlife access in Iceland is unparalleled, so be sure to treat all nesting birds with respect. There are also fantastic opportunities for Whale watching (especially in the North), with Icelandic waters home to around 24 different cetacean species. Larger Whales only appear during the summer to feed, but smaller Whales stick around all year. From destinations like Húsavík, you can often spot Dolphins and Seals. With any luck you’ll witness the massive Humpback Whales leaping out of the water in a breach, or perhaps even catch sight of an Orca. Iceland’s thriving whale-watching industry also happens to be the most effective method of protecting these animals from being hunted. As the ecotourism industry becomes more beneficial to Iceland’s economy than whaling, it will be much harder to justify future hunts. During June and July, Iceland experiences the midnight sun, a natural phenomenon in which the sun never fully sets. With 24 hours of daylight, and over 200 official campsites, many travelers simply choose to pitch a tent each night. Although it was once possible to camp anywhere on the island, new laws forbid people to camp outside designated campsites. 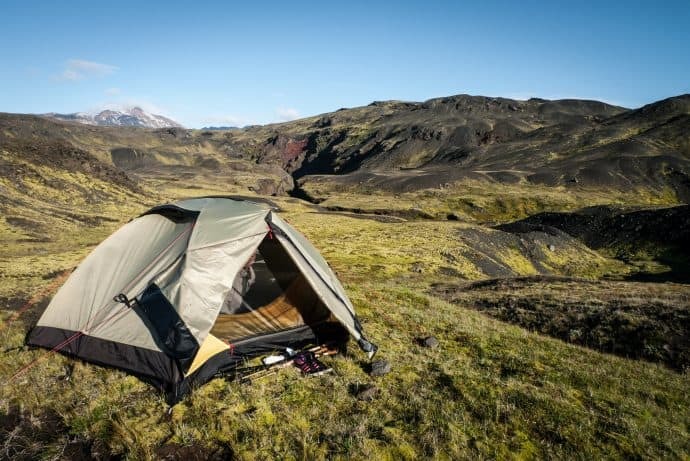 There are over 200 official campsites in Iceland, most with decent facilities. Pitching your tent wherever you feel like it has the potential to damage the fragile vegetation of the volcanic island. So please make sure you camp in an officially designated area! The Northern Lights are one of the world’s most dazzling natural phenomenons. Also known as Aurora Borealis, this is Mother Nature’s most impressive light show, and something almost every traveler has at the top of their world travel bucket list. When the Northern Lights hit Iceland from late September to early April, you can see them throughout most of the country. It’s best to make your way out of the city limits and into the countryside for a Northern lights vacation with the least amount of light pollution. 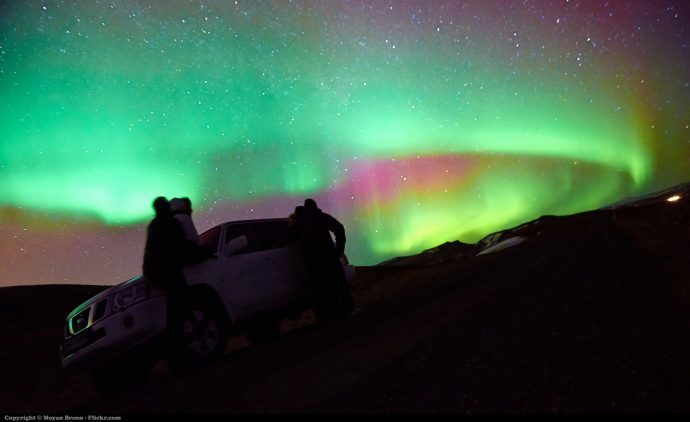 The lights usually appear as otherworldly streaks of green, red, yellow and purple dancing across the Arctic skies. Head to Þingvellir National Park for some really spectacular views. This is a UNESCO World Heritage Site where the North American and Eurasian continental plates meet, causing a rift valley. Iceland relies heavily on volunteers, and there is a lot of work throughout the country which wouldn’t get done without them. 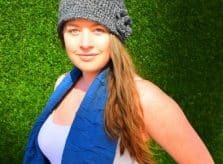 This provides a fantastic opportunity to stay in the country longer to travel and see the sights. Most volunteer projects are focused on conservation and heritage management, and many volunteer hours go towards the improvement and maintenance of hiking trails. 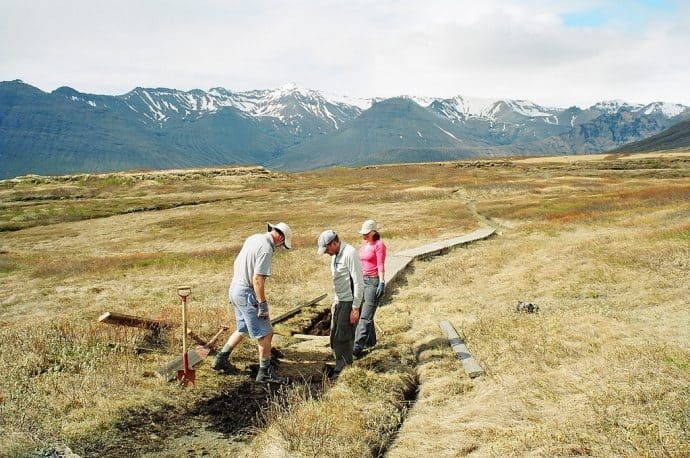 If you’re visiting one of Iceland’s many beautiful national parks, chances are you will walk on trails that were built and/or maintained by volunteers. The main companies that run projects for conservation volunteers are The Environment Agency of Iceland and SEEDS. Iceland is famous for its hot tub culture. 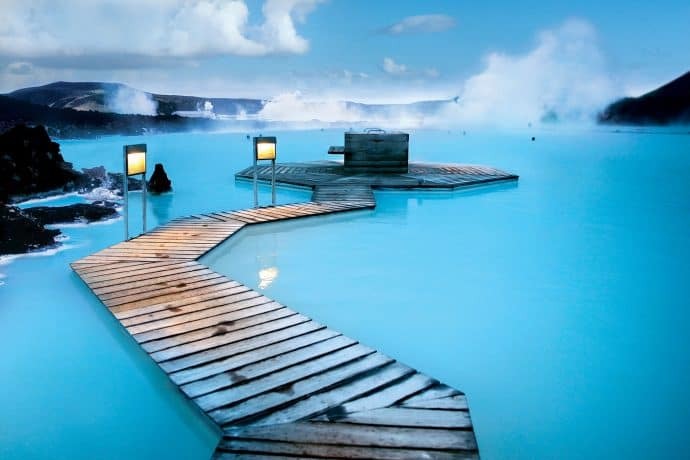 Bathing outdoors in volcanically heated pools is an ancient tradition which dates back to the Viking era. An outdoor soak remains an essential part of the Icelandic experience, and it’s also a great way to interact with locals. While there is one geothermal pool in particular that draws the attention of almost every tourist (see photo above), there are many other great hot springs here besides the Blue Lagoon. These include Gamla Laugin, Viti, Landmannalaugar, and Grjótagjá– a pool situated inside a cave that is so beautiful, it was used in a recent episode of Game of Thrones.